Two years after the Brexit refereundum, Queen Elizabeth granted royal assent to Brexit legislation, that will formally end the country’s European Union membership. While the negotiations between the UK and the EU would continue and Brexit looks toxic to many, it was actually writing on the wall. In 1972 British author Daphne du Maurier wrote her novel “Rule Britannia”. Britain had not joined the Common Market of Europe till then. In the novel, Conservative leader Edward Heath became the Prime Minister in 1970 with the promise to bring Britain in the Common Market. Britain joined the Common Market, resulting in severe economic instability in the country. At the end, a fictional referendum was held and Britain broke out of the ‘Common Market’. Thus, from the very beginning, a Brexit-like attitude was almost inherent in the British character, mentality, and national prejudice. Du Maurier was very efficient to gauge that mindset of the British society in her book. Europe is an amazing continent indeed. It resembles a single country, courtesy Schengen, EU, euro, etc. A single visa and a single currency are enough for traveling to so many countries. I entered Germany from Holland by train, Sweden from Denmark by bus, France from Spain by car, Germany from Poland by walking and Spain from Italy by a flight that seemed domestic; these were seamless journeys. One of my Italian friends resides in Switzerland and teaches at a German university. His Greek wife has her corporate job in Switzerland, and he drives to Germany regularly for his teaching and research. About one and a half decades ago, I was so amazed looking at this structure of Europe that I told my Spaniard friend Jose Antonio that today’s Europe resembles almost the Indian model. Europe is like a single nation where the countries are like different autonomous provinces. However, Britain was a little bit different from the very beginning. It had a separate currency, separate visa system for the world outside the EU, a different entity due to the island’s geographical isolation, and of course a different national prejudice. Britain fretted to withdraw herself from the EU since the very beginning. In 1975 Britain joined the European Economic Community (EEC), and immediately took a referendum on it, which ruled in favor of continuing with the EEC. In 1993, the EEC changed the name to the EU. There was again a demand of referendum to leave the EU in 2012, which finally took place in June 2016. I cannot imagine India taking a public referendum to decide whether she will remain in BRICS or SAARC. Undoubtedly for Britain, “to be or not to be a part of the EU” is much more important than it is for India to be in BRICS or SAARC. But, there is no reason to assume that the common people of that country have better understanding of economics and sociology than ours. Ordinary people are just ordinary people, everywhere in the world. We will always hesitate to let the general public take such important decisions. In du Maurier’s novel, the Prime Minister was afraid of losing political autonomy and military supremacy of Britain after withdrawing from the Common Market. We heard identical statements from David Cameron in the backdrop of the Brexit poll. The referendum had a tremendous effect on the country’s political scenario. Although it was not a referendum on his premiership at all, Prime Minister David Cameron resigned. Don’t forget that he was re-elected just over a year earlier. But, as a proud politician, despite the defeat on Brexit he left 10 Downing Street head held high. It is perhaps a strong statement from an enriched political system, and a mature democracy and society. Some people favoring Brexit even think that Europe is tending towards a ‘United States of Europe’, much like the thought I expressed to my Spaniard friend about 15 years ago. Interestingly, in du Maurier’s book, after breaking a tie with the ‘Common Market’, Britain formed a new union with the United States. Are we going to see such an interesting alliance between Donald Trump and Theresa May? 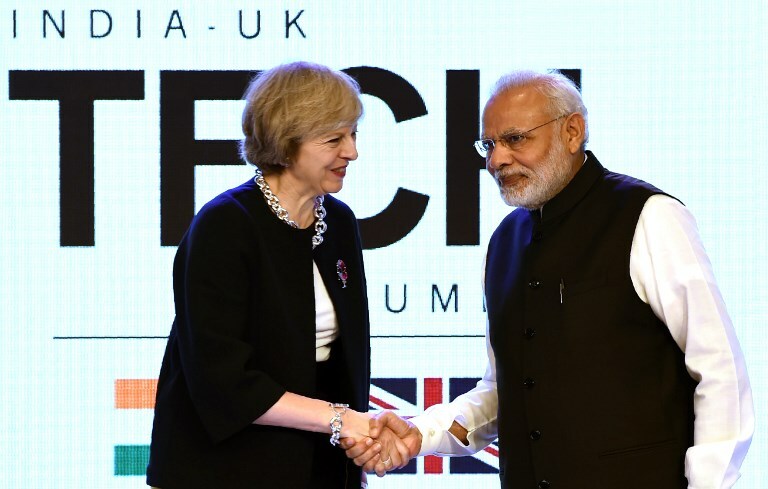 During the Commonwealth Heads of Government Meeting (CHOGM) in April, Prime Minister Modi and Theresa May agreed to infuse new energy into bilateral ties post-Brexit. Is that any indication for the future? In the Brexit vote, ‘Leave’ won by 52 per cent to 48. Britons voted for Brexit. And, their discomfort started thereafter. YouGov poll suggests that every hour since August 2016, more than 80 ‘leave’ voters change their minds; the number being less than 20 for ‘remain’ voters. In the backdrop of the first anniversary, in a 22 June 2017 poll, support for ‘remain’ was ahead by a 3.54 per cent margin. And a poll in end May 2018 shows that ‘remain’ could be victorious by a massive 10.4 per cent margin now, the highest since the two-year old Brexit poll. Brexit will occupy every bit of their lives, their literature, plays and arts, politics, and heartbeat of the society for the next one decade, at least. I wrote an email to Jose Antonio, my friend from Spain. I admitted that my impression about Europe around one and a half decades back was basically wrong. Now I have understood that Europe is not following the Indian model; something is missing there. At the doorstep of Brexit, most of the EU countries are angry with Britain. But, had Europe been a single country like India, that episode would not have ended with mere dissatisfaction or anger, Britain would have had to stay within the EU at any cost. The writer, Atanu Biswas, is Professor of Statistics, Indian Statistical Institute, Kolkata.